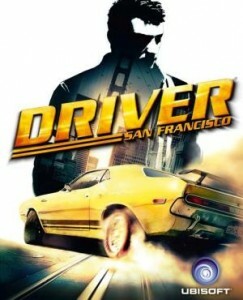 Before Driver: San Francisco, I thought that maybe you just can’t do engaging storytelling in a car game. Rockstar had given it a shot, and while I really enjoy Midnight Club: Los Angeles, the storytelling is really very bad and uninteresting. If Rockstar can’t do it, who can? It turns out that Reflections can. The initially bonkers story taking place in the protagonist’s head as he lies in a coma is a stroke of genius. They’ve decided to incorporate their crazy gameplay gimmick of “shifting” between cars on the fly into the story, and in my opinion it really shouldn’t work. It’s too out there, combined with a realistic world. But it does work. The characters spout good dialogue, rarely missing their mark. Why it works and something like Midnight Club: LA does not, is because it’s all about the game. They’re discussing what’s happening in the game, even if it’s something videogame loco like the bad guy throwing cars around the expressway by force of will. When you’re shifting around, the characters talk about it. Very quickly, you start to take it at face value. The other thing they get so right is that it’s all happening inside or right around the cars. The characters are essentially extensions of their vehicles. There was one inconsequential scene with a couple of meters of running outside of a car, but that’s it. Everything of consequence happens in a car, with the player driving. The really well done CGI characters help, of course, but I’d say the sharp focus on the cars and the guys driving the cars is the key here. No, it wouldn’t work in a movie (I think… might be interesting to see someone try), but as a videogame, it’s a masterclass act in writing. The big open world I’m not a fan of. It works as a mission selection screen, but I fail to see the point of the open world, as it’s just a sequence of missions to me. I like the real life San Francisco a fair bit, but I couldn’t really get an SF vibe from the game. It makes me think what they could’ve done if it didn’t have to be an open world experience. Videogame first, then, but a coherent narrative experience at that, Driver: San Francisco has been the year’s biggest surprise to me so far. Great stuff, really looking forward to what Reflections does next.